In a recent blog post, Twitter has announced a new home page, which aims to make the value of Twitter more obvious to new users visiting the site for the first time. 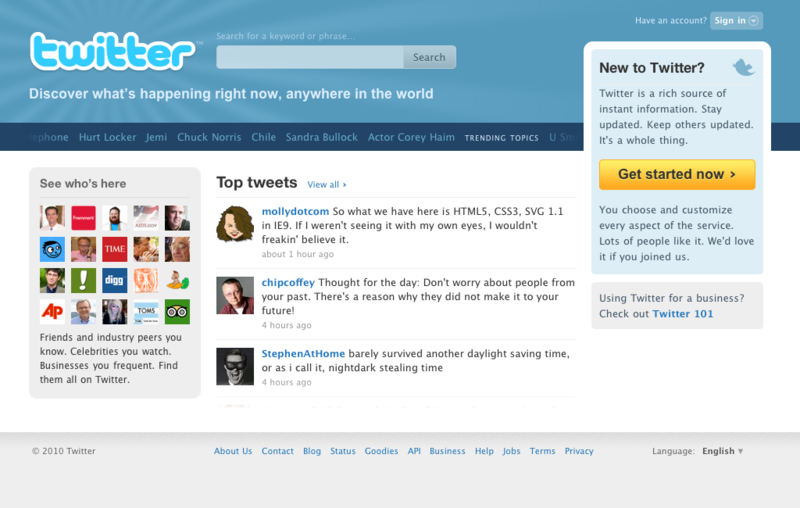 The new home page features more dynamic content, showing a sample of “who’s here”, what people are tweeting about and the major trending topics. The home page features algorithmically selected top tweets, which are refreshed every few seconds. The trending topics are displayed scrolling horizontally, which allows more topics to be displayed in less screen real estate. The blog post states that Twitter will keep trying out new ideas on the home page, which will help users more easily discover who and what they can find on Twitter, and how they can filter and personalise the information. The new homepage builds on a series of changes started last year, which brought search and trending topics to the fore.